Nose has honey, oily green fresh herbs. Super light smoke with seaweed and the lightest touch of smoke. Palate has honey, strawberry jam,rosemary, baked fruit pies. Finish is long. Clover honey, port wine? Nose: Orange peel (Gran Marnier?) and coriander. Heather blossoms, rose water, peach sherbet. Deeply honeyed, floral, and rich. White fruits, even a touch of white port. Perhaps a touch of peat, in a pithy, green herbal note. A dash of water brings out a little green apple and mown grass, and heightens the very small amount of peat (in a mossy/earthy way, not smokey). Palate: Viscous and honeyed. Full bodied if not creamy. Sweet baked goods (sugar cookies), raw local honey, red raspberries. Later, there is some jammy red fruits like pie filling. Very smooth, with nary a tongue burn. Water does this a dis-service, thinning the body with only a few drops, and stinging the tongue with alcohol. Finish: A touch of oak, drying in the back of the throat. Medium-long but with nice floral passes and a lot more of that raw, herby honey. Overall: A satisfying dessert dram. 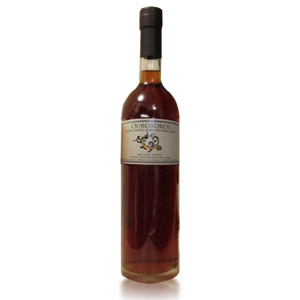 Honeyed and full-bodied, it reminds me a lot of white port, but with more bite. It’s hard to imagine anyone not loving Oban 14. Leave off the water on this one, though. Located in the West Highlands, actually situated on the western seacoast of Scotland, Oban sits across the Firth of Lorn from the Isle of Mull. 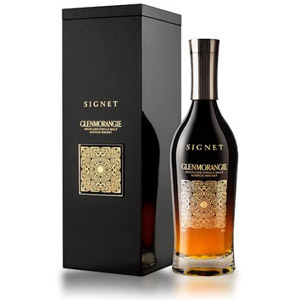 One of Diageo’s “Classic Malts”, its water comes from Loch Gleann a Bhearraidh, the town reservoir. This whole area is made up of old volcanic lava flow rock. Steel mash tun, larch washbacks, and only two small “lamp glass”-shaped stills with traditional wooden worm tubs. oban or hp 12. i just dont know? dislike alchool reek. what more honey and malty? Oban is definitely honeyed and malty (The Glenrothes, a Speysider, is also heavy on honey & butterscotch flavors). Highland Park 12 is a little more acidic and citrusy, with mild peat. Both are quite smooth. I think the HP 12 is cheaper, though. too many bad reviews on Glenrothes select. HP taste diagram has high on citrus. Oh, i cant even eat a nut. is Hp too drying for me like old pulteney. Im also considering big peat, glen moray? , walker green, ?. anything with crumbling biscuit like malt notes. Maybe HP 12 is way to go. I did like Glendronach lots i cant buy locally. the honey attacking. I haven’t tried Glenrothes Select, but the Vintage releases are generally well-received, although they’re pricey. HP does have a significant citrus note (lemony, not orange like The Dalmore), but because of its partial sherry finishing, is sweeter than most peated drams. For true sweetness, you generally want to look for sherry finishes like The Macallan, or unpeated Highlanders like Oban and The Dalmore, or Speysiders like Glenrothes. I’ve never had Glen Moray or JW Green, although Johnnie Walker in general is known for easy-drinking and middle-of-the-road balanced flavor. (A little smoke, a little malt, a little fruit, etc). some HP12 comments it has NUTTY. My Palate is too sluggish for this. Old Pulteney- also floor dry malting was one i could not drink. If it has a salt, savory, honey think going with smoke it sounds awesome. Im corrently thinking Peat Monster,, HP12, Walker Green, more expansive Oban, then a’bunadh and 3d 3rd. disliked Laphroig 10 40%. that sweetness? Pulteney, glenlivit 12, 15 too much spiky oak. It’s good that you’re exploring and discovering what you like and dislike about each whisky. Too many people these days will just pick one blend or malt and refuse to expand their horizons with different tastes. Continue trying new stuff (especially if you have a bar that stocks a good selection), and keep some good notes about what you liked & disliked about each. That way you’ll be able to look back and remind yourself about each one. Also, remember that taste change and you may discover down the road that whiskies you disliked at first may grow on you later. At my first tasting of five malts, I wrote down negative comments about 4 of them. I’ve since gone back and re-tried them, and discovered that I like all but one of them now. Oban is good clean fun. Tasty but the price has gone up here in Las Vegas. Due to the price point (to me) here I have shied away from this tasty whisky. Loved the review and agree it is a must try! Maybe it’s just me, but I’m getting some smokey/peat aromas in this Oban 14. I have had Blair Athol 12 (nicely rounded, unforgettable salty caramel/butterscotch nose), Macallan 12 (the sherry and tropical banana aftertastes are unforgettable… currently my favorite), Speyside 18yr from Kirkland (made me realize my love for sherry-aromas in whiskey), Johnny Walker Green (blegh), Black (alright), Blue (as my teetotaler cousin suggested: like a smooth leather boot – but now we’re gettin somewhere!). As a scotch novice, I am definitely enjoying this Oban though, especially after reading your opinions on how you would taste whiskeys. I am trying to detect the floral aftertastes, but I can definitely agree on the oak as well as a bit of herbed honey! very smooth overall, quite easy to drink too much, heh. Next on my list would have to be Aberlour A’Bunadh. Just picked this up at Costco for $48!! in fine balance. A sipping dram even for those who “do not like Scotch”, who would faint at even a whiff of Laphroaig. Fine, smooth piece of whisky! I don’t know if this product has changed or not but I was just given a bottle of this truly unpleasant scotch. Easily the most unpalatable scotch I have tried. We sampled a Bowmore 15 after which was as sublimely delicious as this was nasty. I was truly disappointed in this dram and would strongly recommend trying before you buy if you are considering this scotch. That’s odd, Kim, I haven’t had that experience with Oban. Perhaps you got a bad bottle (or bad batch). Some quality liquor stores will let you return opened bottles if they disappoint. (Some). You might try that. Anyone else had a bad Oban 14 before? 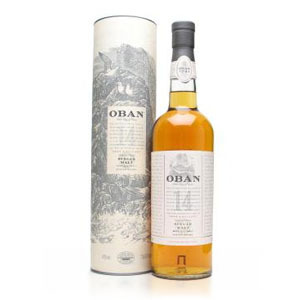 Just returned from a trip where I visited the Oban distillery and agree about the Oban 14. 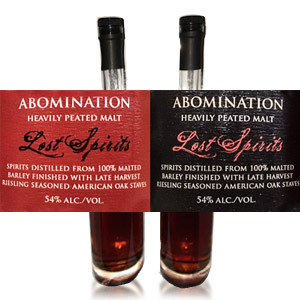 I was surprised how bland and mildly “off” it tasted given all the great reviews–not unpalatable but easily my least favorite whisky of the six distilleries I visited (four Speysiders, Talisker, and Oban). Of the four whiskies Oban made available for tasting–the 14, a couple of NASs, and a distillery-only release–the only one I enjoyed was the last. Was it my taste buds or has the product changed? I’d be curious to hear a re-review of this one.